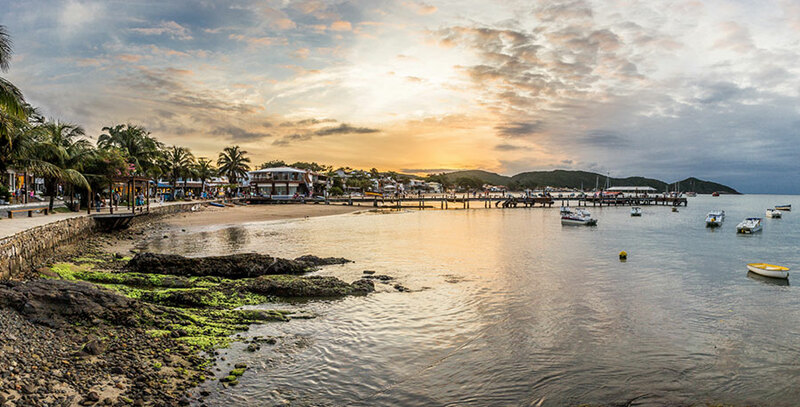 Brazil, land of the samba, football, and beaches. It is a country of rivers, lakes and mountains, and also a land of music, folklore and food. Brazil isn’t just Carnival; it is a country where people like to celebrate all year round. 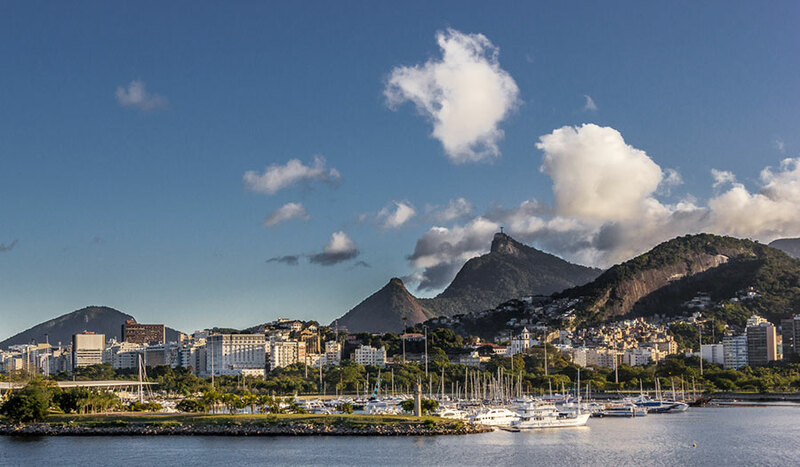 Popularly called “Cidade Maravilhosa” (Marvelous City), Rio de Janeiro is known worldwide for its beautiful natural landscapes and its landmarks. 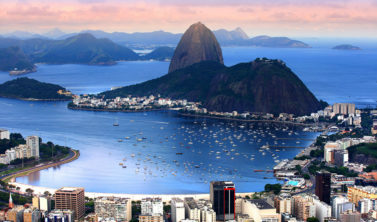 With nearly 6 million people, according to the Brazilian Institute of Geography and Statistics – IBGE, Rio is the second largest city in Brazil, and has the second highest Gross Domestic Product – GDP of the country, being the 30th highest in the world. 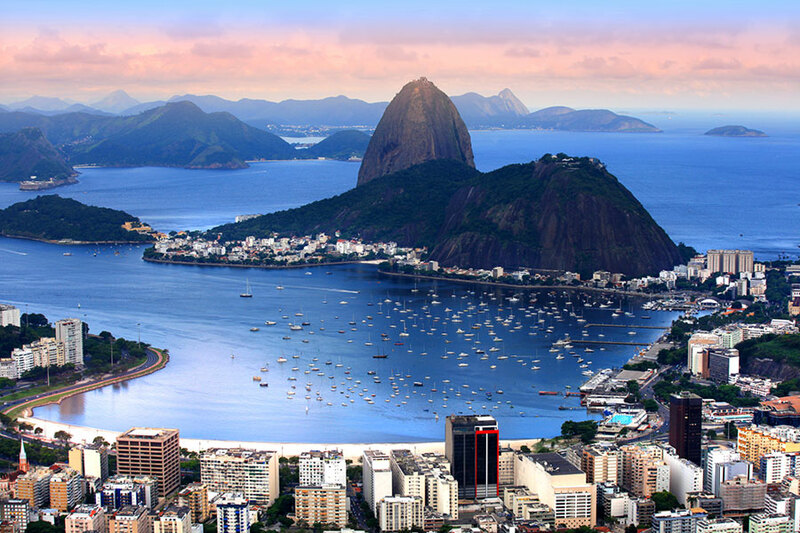 In addition to the most visited tourist attractions, such as Christ the Redeemer, Sugar Loaf and Copacabana Boardwalk, Rio has a large collection of museums, cultural centers, gastronomical paradises, and the most famous carnival in the world, with its lush samba schools. 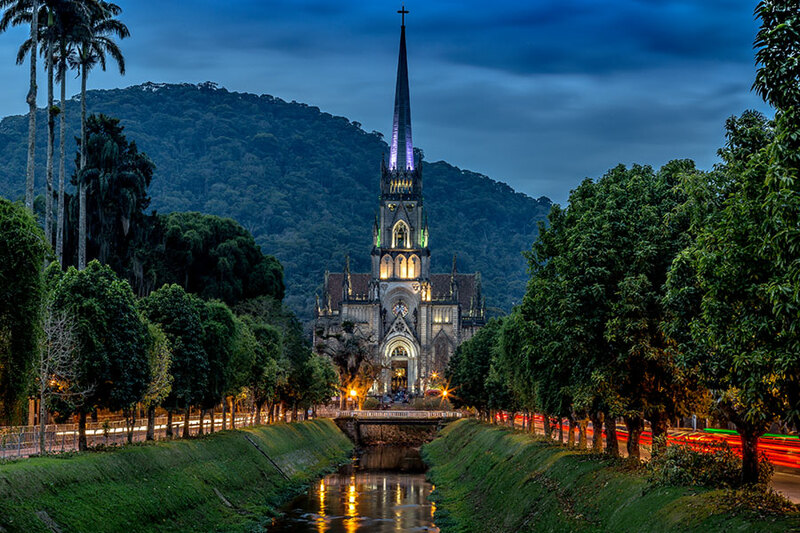 Its main airports are: Santos Dumont Airport, which serves regional and state flights, and Antonio Carlos Jobim International Airport, better known as Galeão, the second largest in Brazil. Accessibility Rio de Janeiro has always been a laboratory for urban interventions, including in the area of accessibility. With the first projects of the urban program “Rio Cidade”, many districts began receiving physical changes that imposed a visual improvement and enhancement of urban space, with change of materials on the floors of sidewalk, leveling sidewalks, installation of specific street furniture etc. These projects originated the major adjustments of public spaces, among them ramps, which were installed in almost every districts, replacement of floors in bad conditions for similar ones, to ensure the transit of people in wheelchairs and with mobility impairments; installation of tactile floors; and signs informing people with hearing impairments. New interventions are still being made, in Rio de Janeiro, as the revitalization program of Lapa and Rio Orla, which began renovating the furniture of Copacabana beach and rehabilitating the area. Public health services in Brazil are free for foreign tourists. So, if you are in an accident or present any health problems, just call the Mobile Emergency Service (Samu) dialing 192 on the phone. The call is free. Brazil is a country with tropical climate, so we recommend that you drink liquids constantly in order to prevent dehydration. Wear comfortable clothes and protect yourself from the sun with a hat (or cap), sunglasses and sunscreen. Avoid direct sun exposure between 10:00 am and 4:00 pm. Always bring repellent against insects, to use whenever necessary. Wash your hands with soap and water several times a day, especially after using public transportation and visiting attractions with a great movement of people. Avoid consuming foods that have been poorly prepared or packaged. During cycling or hiking trips, take foods that can be keep without refrigeration and that don’t spoil with the heat. To impede the action of the mosquito that carries the zika virus, it is necessary to use repellent and long-sleeved clothes (especially in the early morning and late afternoon). In case you have symptoms such as fever, rashes, headaches, pain behind the eyes, pain in the body and joints, or red spots throughout the body, the Brazilian Ministry of Health advises that you should look for a hospital or health unit and drink plenty of liquids. The virus is the main cause of the increase of microcephaly in babies, being a reason for concern mainly among pregnant women and women who plan to become pregnant in the next few months. Regardless of the destination or reason, all pregnant women should consult their physicians before travelling. Pregnant women are advised to use only drugs prescribed by health professionals, take qualified prenatal examinations for their current stage, in addition to reporting any changes during pregnancy. In addition to the use of insect repellent and long-sleeved clothes, it is also recommended to avoid accumulating stagnant water in places such as buckets, vases, old tires, ect. 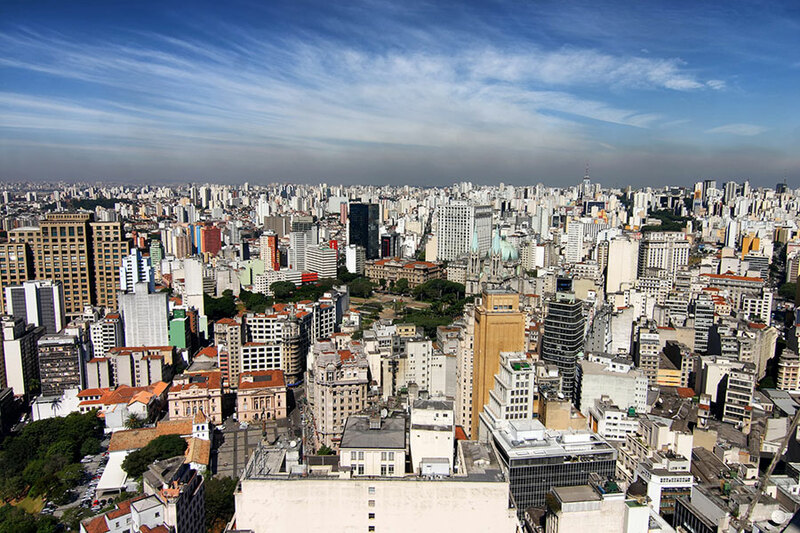 Brazil has outlined a National Plan to fight the disease, involving different ministries and agencies of the Federal Government, in partnership with states and cities, to prevent new cases of the disease. To enter Brazil, it is not mandatory to vaccinate against any type of illness. However, in the country there are areas with Vaccination Recommendation (ACRV), where it is recommended to vaccinate against yellow fever before your visit. Yellow fever is a disease transmitted by the bite of infected mosquitoes. So, if you have never taken the vaccine, you need to take it 10 days before your trip (this period is not necessary if you have been vaccinated before). If you have any doubts, check the website of the Brazilian Ministry of Health. According to the World Health Organization (OMS), there is a risk of malaria transmission in 96 countries around the globe. Infected people have symptoms such as fever, chills and flu-like symptoms at the beginning. Use light clothes with long sleeves during periods of high exposure in activities such as canoe trips. Apply insect repellent on exposed areas of the skin, always following the guidelines of the manufacturer. Pay attention to the appearance of disease symptoms, such as fever, body aches and headaches. In case any symptom of the disease appear, look for the nearest hospital or health unit. Ideally, medical attention should be given until 48 hours after the first symptoms. It is important to highlight that Brazil has a public health network structured to diagnose and treat patients appropriately. 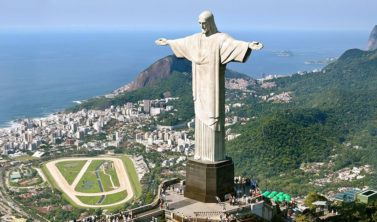 Considering The World Health Organization’s (WHO) broadening of the cautious area regarding yellow fever, the recommendation for international travelers coming to Brazil, especially to Sao Paulo State, are the following: Individuals visiting this area (including Sao Paulo the Capital and the coast) and who are nine months of age or older should receive the vaccine. There is no restrictions concerning travels around the country. Considering that protective antibodies against the virus are produced between the 7th and the 10th day after the vaccine is administered, it should be administered within 10 days prior to the travel, so that the individual will be considered protected. A dose provides protection for a lifetime. Besides the vaccine, other individual protective measures should be considered, such as wearing trousers and long sleeve shirts and using insect repellents. The Brazilian Ministry of Health highlighted that the areas determined for vaccination in Brazil remains the same and that protective measures, such as vaccination enhancement and fractional doses, will continue to be adopted and updated whenever necessary. The Yellow Fever virus is transmitted by the bite of infected transmitter mosquitoes. This disease is not transmitted from one individual to another. The vaccine is the main form to prevent and control the disease. Upon arriving at the airport, look for registered cabs. Whenever you need to open your wallet in public, avoid exposing big cash notes. Do not place your wallet or your phone in the back pockets of your pants, especially in places that are very busy and full. Do not carry large amounts of cash in your wallet, purse or bag. Take only small amounts in the country’s currency for daily expenditures. If you have to take a lot of money, keep it in bags used inside your clothing, closed with zippers or velcro strap and tied with an elastic around your waist. Avoid leaving with important documents and, if you have more than one credit card, take only one. In case your credit card gets stolen, you will have another card for future spending. Leave your passport where you are staying and take only a certified copy of it. Use the safe where you are staying, if the place has one, to keep your money, original passport, credit cards and other important items. Most thefts occur in places where there are large concentrations of people, like markets, subway stations, bus stations and full buses. Luggage theft is also common in airport lounges. Keep an eye out. Avoid walking through empty places or neighborhoods indicated as dangerous by the local residents. This advice is especially important in large cities and to people who are travelling alone. Be wary of people who offer a ride in a non-registered cab, at the airport or in any other location. If you go to the beach, don’t leave your belongings in the sand while you go into the water. If you rent a car, don’t leave any luggage or bags visible inside. If this is unavoidable, try to park the vehicle in a safe place, where there is policing. 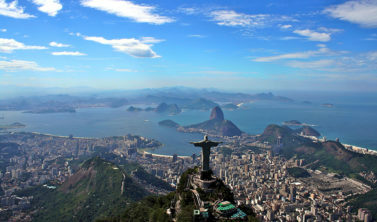 Visas required to enter Brazil are issued by the Brazilian consulates abroad. Citizens from Mercosur member counties are not required to present visa, only the passport or a valid identification document. Australian Citizens are entitled to obtain the called E-Visa, which can be obtained online or on cellphone and tablet apps, without the need to go to a consulate. Citizens from Canada, USA and Japan are also entitled to obtain the E-Visa since January of 2018. The proceeding to request an E-Visa is simple: upload a photo, the image of the passport page containing your personal data and address (optional). Complete the form, pay the tax and download the visa. During your trip, present a printed copy or a digital image of your E-Visa. 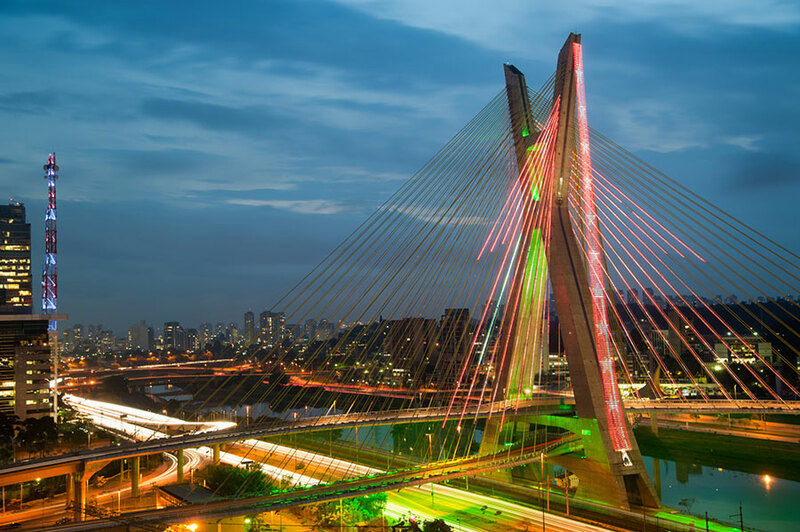 In Brazil, the Federal Police works integrated with E-Visa, which in the near future will be accepted at the E-Gates in the Brazilian airports, currently exclusive for the Brazilian citizens. E-Visa is valid for two years and costs USD 40, less than the traditional visa. Bearing an E-Visa does not forbids a tourists from obtaining their traditional visa at the Brazilian consulates. 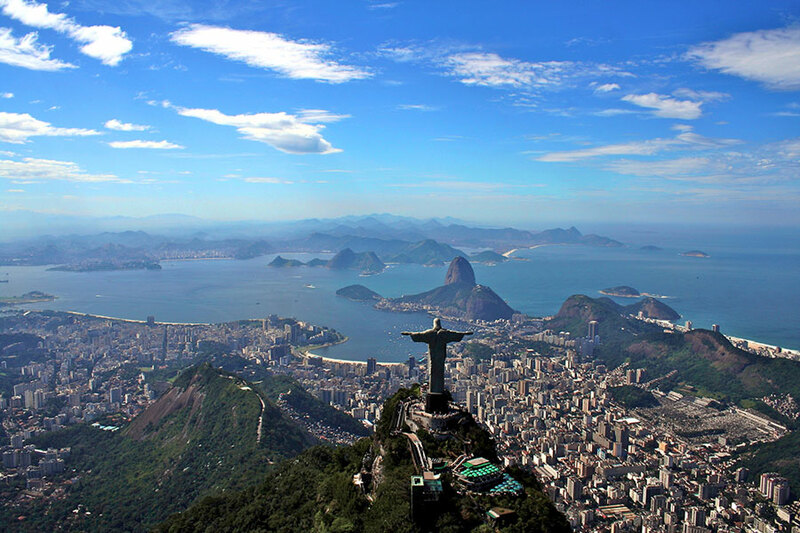 Learn more details about the documents required and proceedings to obtain a visa consulting the Brazilian embassy or consulate in your country. Tourists bearing an international license to drive are entitled to drive in Brazil if their stay is no more than 180 days. 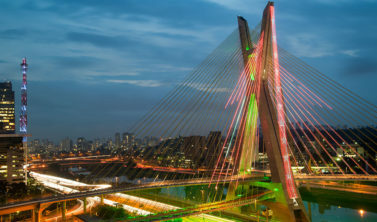 For longer stays they are required to obtain a Brazilian driver’s license. It is compulsory to have a valid international driver’s license and a valid identification document. The foreign tourist driver is subject to the Brazilian legislation. 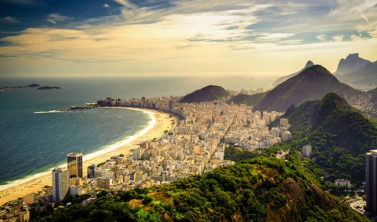 Brazil has climates that suit all tastes, thanks to its great territorial extension, combined with factors such as altitude, pressure and ocean proximity. The average annual temperature is 28° C in the North and 20° C in the South of the country. 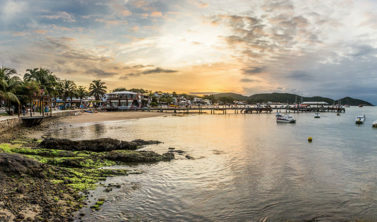 The Brazilian winter happens between June and September and in some cities of the South and Southeast, temperatures reach less than 0° C, with frost and snow. 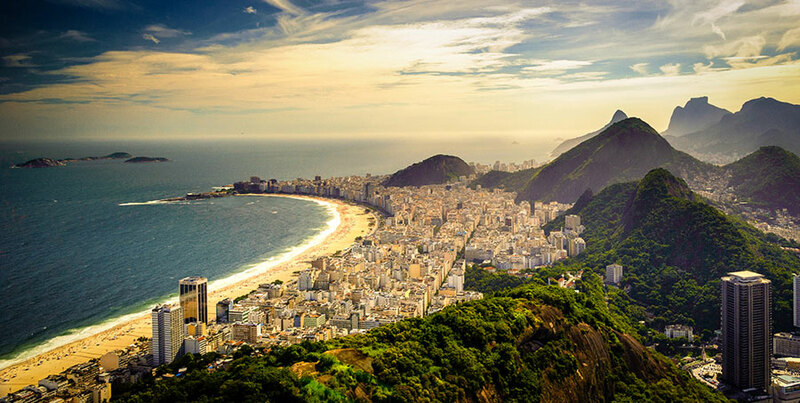 In the summer, you can enjoy a 40° C heat in cities such as Rio de Janeiro. Summer in Brazil is the best time to go to the beach, drink coconut water, plunge into the sea and sunbathe. Regardless of the season, it’s always a good idea to pack a coat and pants, because the weather can change suddenly in some locations, especially in mountain and coastal regions. Summer: from the 21st of December to the 21st of March. Autumn: from the 21st of March to the 21st of June. Winter: from the 21st of June to the 23rd of September. Spring: from the 23rd of September to the 21st of December. 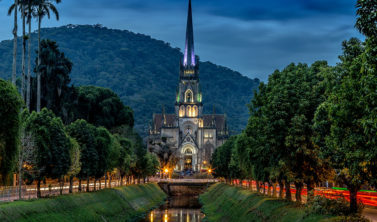 The official language of Brazil is Portuguese, which is derived from the language in Portugal, but with different accent and some different expressions. 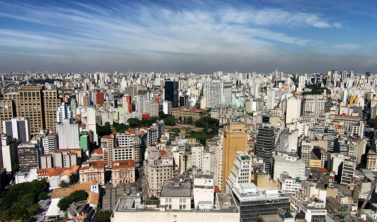 Many Brazilians speak English and Spanish, and in some States, you can also find people speaking German (Santa Catarina and Rio Grande do Sul, for example), Italian (São Paulo and Paraná, for example), indigenous languages (Amazonas and Mato Grosso do Sul, for example) and other languages. Hey, what’s up? : Olá, tudo bem? Good morning! : Bom dia! Good afternoon! : Boa tarde! Good night! : Boa noite! What is your name? : Qual é o seu nome? Do you speak english/spanish ? : Você fala inglês/espanhol? You are welcome : De nada. Excuse me : Com licença. Can you give me some information? : Pode me dar uma informação? Can you help me? : Pode me ajudar? I am lost : Estou perdido. I don’t understand : Não entendo. Can you speak slowly, please? : Pode falar mais devagar, por favor? I don’t speak portuguese : Não sei falar português. Are there any bank/restaurant/hotel/taxi point nearby? : Há algum banco/restaurante/ponto de táxi/hotel perto daqui? How much does this cost? : Quanto custa isso? Where can I get… ? : Onde posso conseguir…? The electricity voltage in Brazil varies between 110V and 220V depending on the location. Many hotels offer wall sockets in both voltages, and it is easy to find portable voltage transformers in construction shops. The wall sockets in Brazil have the shape of a well, to make contact between the finger and the electrical current more difficult and avoid accidents. The plugs have a system that avoid overloading and heating and also provide better linkage with their terminals. The adapter plugs can be easily found in construction stores or in the free shop stores at airports. Rio de Janeiro has a large supply of tourist attractions, from the respected Museum of Modern Art – MAM to the casual Copacabana beach boardwalk, with accessibility present in both cases. Several places for tourism offer access for people in wheelchairs. The steps were replaced by fixed ramps, mobile ramps or platform lifts. The transit in these places is also ensured, with the exception of restrooms. Reforms and adaptations are seen in almost every touristic area. For people with hearing impairment, renovating communication is hampered because few places have employees who understand libras. There are information and indicative panels, but they are insufficient for the correct use of the environment. In turn, people with visual impairments find tactile floors in various locations and information in Braille in elevators, which do not always have sound indicating the floors. Information in Braille is missing. The National Library is a good example of historic building that includes accessibility conditions, because it has a number of adaptations and equipment units that were acquired specifically to serve the public with visual impairments. The ascent of Corcovado also has some adjustments to facilitate access for people with physical disabilities or hearing impairments.